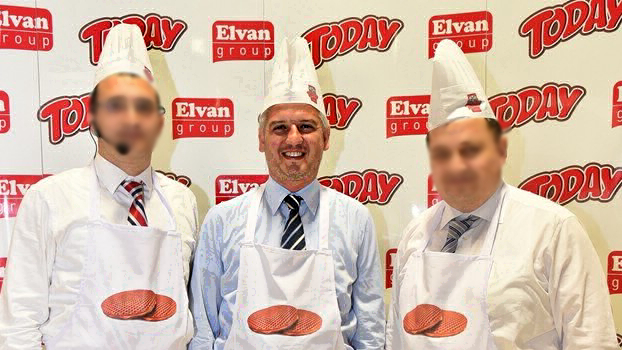 An arrest warrant was issued for Hidayet Kadiroglu, the owner of the leading chocolate and candy producer, Elvan Gıda, on Feb 12. At least seven senior executives of an Istanbul-based exporters’ union were detained as part of an investigation into the Gulen movement earlier this week. Media said Saturday that Kadiroglu is wanted as part of the same investigation. The prosecutor in charge accuses the suspects of depositing money into Bank Asya, the Islamic lender founded by Gulen supporters in 1996, confiscated by the government in May 2016, and completely closed on July 22, 2016. The union’s affiliate, Turkish Confectionery and Sweet Promotion Group (ŞTG) which is chaired by Kadiroglu, allegedly deposited some TL 4 million [$1.1 million] in Asya. Turkish government blames the movement for the July 15, 2016 failed takeover attempt while the latter denies involvement. Before the confiscation, Bank Asya was put under political and economic pressure by the government asking its loyals to withdraw their funds from the “traitor’s bank.” Those who deposited money into Bank Asya are often accused of financial support to the movement which the government considers a terror group. Established in 1952, Elvan employs more than 1,500 people in 6 factories in Turkey and 2 others abroad to produce sweet and chocolate products for more than 100 countries. The company made it into the world’s top 100 confectionery producers in 2013. The Turkish government has earlier arrested the country’s leading baklava makers over similar charges.